HomeAutomationPune - Get free price quotations, products, services. Whenever we enter a place, our mood is either enthusiastic or low. Ever wondered why does this happen? Why is it that certain places set up your mood? The answer to this is - Color. We are not aware but certain colors prep up your mood. That’s the reason when you enter hotels or banquet halls, you feel good and relaxed. Defining the right color combination is very important. 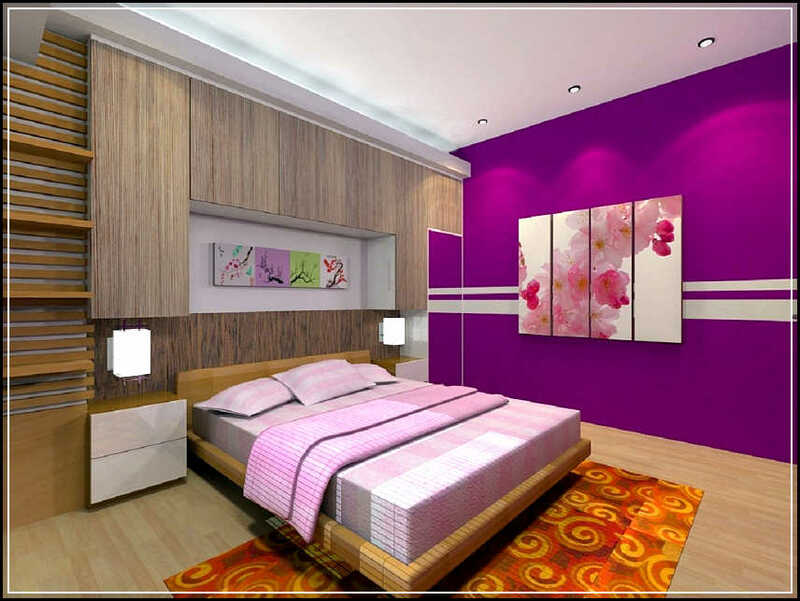 For example, the colors used for the living area may be different from those used in the kitchen or the bedroom area. It differs on personal choices about how you want each room to be. The living room should be welcoming so use subtle colors which would be easy on the eyes. The kitchen area should spell health and energy so choose colors which will make you feel better and spend more time in there. Shades of yellow and orange work very well with kitchens. 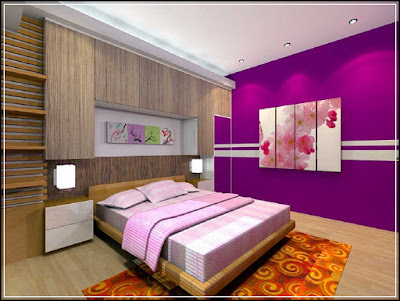 Bedrooms have to be calming and cozy, so use colors which would have a calming effect on you. If you are doing up the color yourself, experiment on a small patch. Take a paper, apply some amount of paint on it and place it on the wall you want to paint. Let it stay there for a couple of days. Observe the color at different times of the day and night and note the effect it has. This is an easy way to choose a color. We tend to choose a color at a different time of the day and assume it to give the same effect throughout which is not possible. Colors show up differently under different lighting conditions. Lights affect the appearance of colors a lot. A similar color may look different given the exposure towards light. People use indirect lighting to accentuate the effect of color in their room. But the same color when spotted in white light seems non-attractive. When you want to paint a large area in multiple colors, you can use automated remote controls to switch ON/OFF the lights and draw/open the curtains and see the difference. So use these simple tips for choosing the right color and make your home look attractive. Smartphones are a part of our daily lives now. Rather they form most of the part of our lives. We are completely dependent on the smartphone now. Our phones are the first thing we see when we get up in the morning and the last thing while going to bed. So if this is the thing that we spend most of our time with, why not make it work for better? Actually the purpose of creating cell phones has not been justified as yet. People use their cell phones for all the wrong reasons except for what it should be used. The automation solutions that are introduced today are designed to work in sync with smartphones via a smart app. This should be aptly used and put to use in a proper manner to work it best for you. We have the smartphone in our hands all the time. We do social networking, search places, do online bookings, payments, etc. everything through the smartphone. So shouldn’t we be able to control devices at our home too with the help of a smartphone? 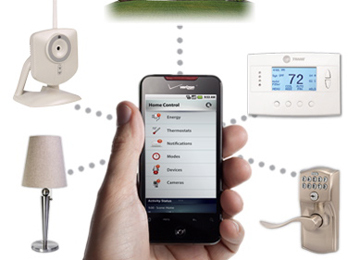 With the help of a smartphone, you can monitor and control electrical devices such as lights, fans, ACs, etc. Now you do have remote control for the same but it gets misplaced sometimes and then you have to hunt for it. But your smartphone is something that you always have with you. So it becomes easy to operate through a smartphone. The remote control can sometimes be a double edged sword. With children at home, they can have easy access to the remote control. They can operate a remote control as there are buttons which can be pressed easily. On the other hand our smartphones are password protected denying them easy access. So if they press a button which switches ON something, you can switch it OFF with the help of your smartphone remotely. To know more about the working of home automation solutions used in sync with smartphones, click http://www.buildtrack.in/. A home is where we tend to spend most of our time. It is a place where we feel the most comfortable. We always try to make our homes comfortable first and then move towards making it luxurious. But luxury is always a want. Now what can you do to make your home luxurious? Change the interiors, introduce new décor, beautify it with show pieces, etc.? But have you ever thought of converting your Home to a Smart Home? Turning your home into a Smart Home itself is a big decision towards making it luxurious. There are too many small things that make a big difference to your home. Like locking and unlocking the doors, turning on/off the electrical devices such as the lights, fans, etc. remotely. Many of us have childhood memories where our parents used to leave the house keys under the mat, or hand it over to the neighbor, etc. Those times were different where you could trust people. But now it has just become too difficult to trust people and handover your house keys to them. You never know how it may backfire on you. Now you can provide access to your front door to other people remotely by a single tap of a button. Automation of lights and installation of sensors leads to safety and security and also helps to monitor activities helping to save a lot on energy bills. There are many things which can be avoided by using these sensors. 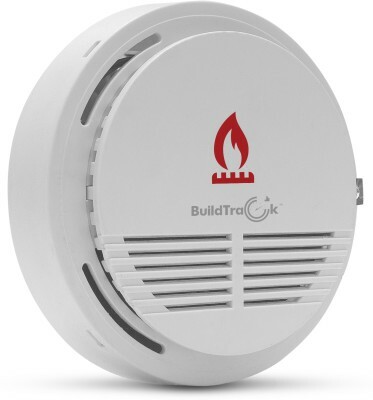 Like installing a Gas Sensor will alert you in case of a gas leak detected or a Door Intrusion Sensor will tell you if there is an intruder trying to get into your house. You can also install IP Cameras to monitor activities in your house and also for your personal safety. If you have kids and they are alone in the house with no domestic help, you can rely completely on the IP Cameras to help you out. The camera can be synced with the Smart App on your Smartphone and help you to watch over the kids at home remotely. This will help you to know if they are playing around with dangerous things or are stuck in some danger. 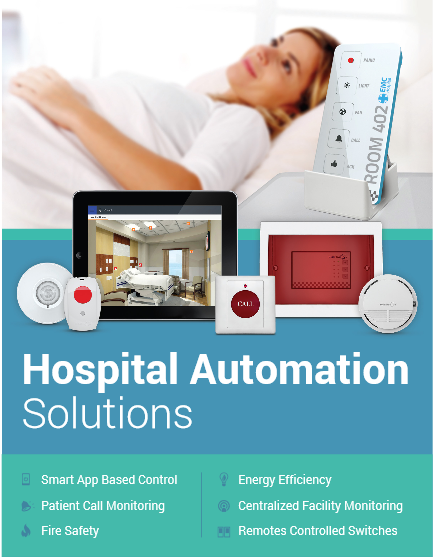 The Hospital Automation Solution is designed to provide convenienceand comfort to the patients. It includes products and solutions for the patient room and also the nursing staff. The nursing staff is an important part of any hospital. Hospital automation focuses to ease their work leading to increasing their efficiency. Hospital Automation has a lot of benefits. It includes automation tools to address multiple patients, reduces manual efforts, decreased inefficiencies, etc. Remote Controls: The remote control is designed for the convenience and comfort of the patients. It can be used to switch ON/OFF electrical devices in the room. For e.g. : lights, fans, etc. It is also helpful in adjusting temperature for ACs and also to open and close window curtains and blinds automatically. Panic Buttons: A Panic Button is given besides the bed which can be used in case of an emergency. The pressing of the panic button will create an alarm and the patient will be attended immediately. Patient Call Monitoring Feature: It is a feature designed for the nursing staff which displays the room numbers and time when the panic button is pressed by the patient. The advantage is that this feature can be viewed on a Smart App via a tablet or a smartphone which increases the response time of the nursing staff. Service Help Desk Feature: This feature can be used by the patients to request services from housekeeping to facility management. The patient’s request can be viewed by the nursing staff and this would help them to cater to the patients need accordingly. Task Management Feature: Tasks can be assigned to respective people with the help of the Smart App. This decreases the manual efforts of assigning tasks to a large number of people. Safety and Security Management: Gas and Smoke Sensors are installed in the hospital for safety and security applications. To keep a note of its efficiency, they are integrated with the Smart App which provides the status of the sensors installed. The Smart App alerts the staff in case of any emergencies by sending out warning signals which helps the staff to deal with the situation accordingly. Note: The Smart App services can be accessed remotely via internet. We usually come across incidents where we understand that a mistake could be corrected if it was taken care of at the proper time. Recently, a steel plant at Rourkela caught fire at a coal injection unit in a blast furnace. Some of the workers were injured and were rushed to the hospital with 30% to 40% burns. What took place was a mere case of unawareness. It seems that the fire broke out when a gust of hot air was blown out in the blast furnace. Had they installed a gas sensor, the incident could have been avoided. The gas sensor would have intimated about the gas leak and would have helped saving lot of lives in return. Looking at the recent gas leak incident, it is high time that we spread awareness about gas sensors at grass root level. People in the urban areas are well versed with everything but people in the rural areas are yet to experience the miracles technology has to offer. The coal injection unit has high chances of catching a fire. Had it been in the urban areas we would have already taken precautions for the same but as it’s in the rural side, things are yet to be changed there. There the people are not familiar with most of the things. We should carry out small exhibitions and educate them about products like gas sensors so that they come to know its importance and act accordingly. A gas sensor is anytime beneficial. It has proven its worth time and again. Many dangerous incidents have been brought to notice and avoided due to gas sensors. Gas is a domestic appliance and needs to be used in our dayto day living. Incidents that are unexpected do take place as things cannot be presumed. Due to these reasons it is important that we install a gas sensor to avoid mishaps. And anyways installing a gas sensor wouldn’t do any harm. So better be safe than sorry. To know more, click http://www.buildtrack.in/. Change is the only permanent thing in life is an apt proverb for the hotel industry. With time you need to update yourself and keep changing. Technology is changing day by day and it is important to be in sync with the latest technology. There are a few things doing which you can be on the wish list of the customers. Marketing is the key. The more you advertise your product or place the more you move towards making your product a brand. Online marketing has a wider reach than traditional methods. People now-a-days rely on the reviews and the content of the product mentioned on the online website of the seller. What the people do now-a-days is, they visit the website, check the amenities and services the company provides, and then compare the same with others. So it is important that you provide high quality images on your website and present the content in an attractive manner to garner more customers. Give them something that would make them ponder over. Something that would leave them asking for more. At present, going green is the new craze. Educated people know the importance and value of resources and are happy to be a part of something that can change lives for better. 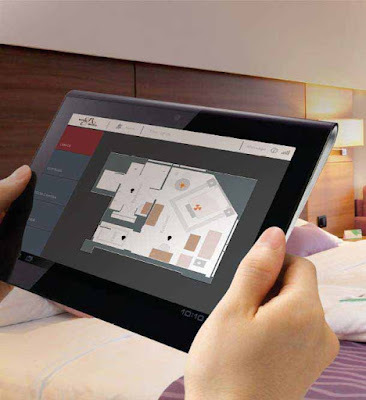 Many hotels are introducing automation solutions to be inthe rat race. There are a wide range of products which are meant to address particular issues of the people with different needs. Products are such that the customers would be amazed at the quality offered by them. Introducing the automation solutions on the company’s website would definitely generate more value to the website. Customers can see pictures of the locations, rooms and services you have to offer in real time. With various automation solutions introduced, you can surely top their choice. A hotel earns a reputation when they make the stay for the customers a memorable one. The customers are usually attracted towards the service of the hotel. It is the service which determines their interest in the hotels. The hotels are flanked by guests who are travelers mostly. They hold high positions in companies and usually visit hotels for conferences. They are people who are technologically adept at everything. To maintain the uniqueness of the hotel, it is important to include high end services to existing hotels. This way the hotel is rated higher and earns a good reputation for itself. BuildTrack is one of Mumbai’s leading companies which specializes in automation solutions. Lighting and proper illumination plays an important role in the life of an elderly person. With age our power of vision decreases. Their vision often blurs out. It becomes difficult for them to identify things from a distance. Poor lighting often leads to distinguished choices. It affects the mood and behavior of a person. If a room is well lit, it impacts the choices made. The lighting design has to be planned well in advance incase of senior citizens. Elderly people tend to get up at night and use the washroom frequently. It is necessary that you have lighting in the passageway so that they can see where they are going. Now keeping all the rooms lit is not advisable as it is disturbing while sleeping. So what is suggested is to install a motion sensor in these areas. With age, elder people tend to forget things. As they have to use the washrooms frequently, they may forget to switch off the lights there. Installing motion sensors in areas such as bathrooms, passageways, etc. takes away the need to manually switch on/off the lights. The motion sensors help to turn the lights on/off based on movement. Older adults who suffer from some or the other health diseases are under medication. They are prescribed pills to be taken at proper times. Now if the area has improper lighting they would drop the pills on the floor. The medicines may be expensive and losing it would cost them a lot. Also their hands tremble, so there is a higher risk of dropping things down. These things can be taken care of by appropriate lighting. This may be a hidden truth but there are people who are afraid of the dark. Some people can’t sleep in complete darkness. With automated lighting solutions, you can dim the lights as per your requirement. Also people who suffer from sleep dysfunction and sleep walk, it is always safe to keep the lights ON so that they can locate objects easily on the way. The most important of all things here is that their mobility is restricted. After they cross a certain age, they are unable to get up often to turn on/off the lights. Having a caregiver 24x7 may not be affordable to all. To this, there are remote control solutions which can be operated easily in which there is no need for manual intervention. 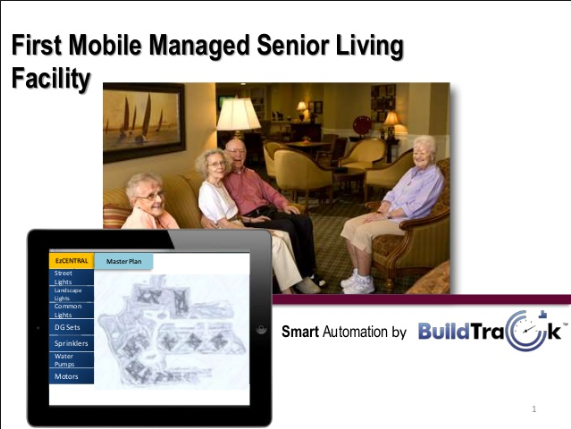 One of Mumbai’s leading companies, BuildTrack provides automation solutions for the elderly. To know more, click http://www.buildtrack.in/.